We have the resources of a large business, but the responsiveness and imagination of a small player. We manage straightforward stuff incredibly well, and incredible stuff in a straightforward way. We always try to provide the best solution – and practical innovation is one of the ways we can repay our clients with added value, be it a development at concept stage or the refurbishment of a building. Practical innovation is the key. Innovation for its own sake can be of little value – it needs to bring benefit to the project. Regular recognition in architecture and engineering journals as well as published technical papers and industry respected design literature have put Curtins at the forefront of design. Click here to find out about our latest awards. 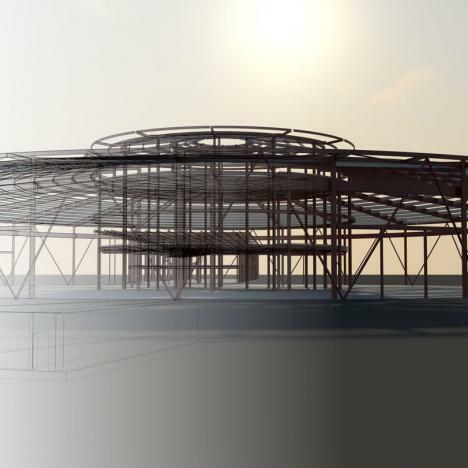 Just one of the ways that we are maintaining our reputation at the forefront of the industry is by meeting and exceeding the Government’s target for BIM integration. We are delivering many new build projects using 3D analysis & design packages combined with our adopted BIM platform, Revit Structure.